The Taiwanese company announced the lay offs on Thursday, after its second quarter earnings took a dive, for a $NT8 billion ($US257 million) loss. HTC declined to mention the exact number of layoffs. But as of March 31, the company had 15,685 employees, according to its most recent annual report. This means a 15 percent reduction could end up cutting 2300 jobs. HTC is taking the measures to streamline its operations, in an effort to produce profitable growth. As part of the change, the company is forming new business units that will focus on three key areas, premium smartphones, virtual reality and connected lifestyle products. 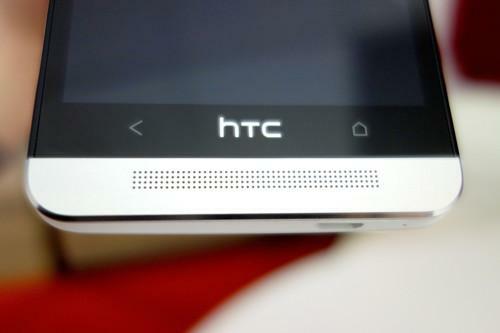 The restructuring will trim the company's operating expenses by 35 per cent, HTC added. Once a major smartphone vendor, the Taiwanese company has fallen on hard times. Its market share has dwindled over the years, and its latest flagship phone, the HTC One, has failed to generate much-needed sales. Competition from a number of Chinese rivals, including Xiaomi, has dampened HTC's chances of making a comeback, according to analysts. The smartphone market is simply saturated with too many choices for consumers, making it hard for HTC to gain visibility. On Thursday, however, HTC's CEO Cher Wang said in a statement that the company was moving to "diversify beyond smartphones." The company is developing a virtual reality headset, the Vive, slated to launch later this year. It's also working in partnership with sport apparel maker Under Armor on a fitness wearable. HTC hopes these upcoming products will generate meaningful revenue, but doesn't expect this to happen until next year.